Our good friends over at TheBreauxShow have released a video showing the assembly of the Joe Con 2016 Sky Patrol Skystriker! Much like the JBL staff, our good friends over at TheBreauxShow.com weren’t able to attend Joe Con 2016 in person. However, that didn’t stop intrepid videographer Mike Breaux from snagging an in stock Sky Patrol Skystriker from the Club Store. This silver-hued beauty arrived late last week and to celebrate the Breaux Show put together a short assembly video of this Joe Con 2016 exclusive item. While the general construction of the jet is familiar to most Joe fans through its multiple releases over the past few years, the time-lapse video really shows off the color scheme and deco of the Sky Patrol Skystriker! Check out the embedded video below and be sure to check out more videos over on The Breaux Show YouTube Channel! Joe Con 2016 is now one for the history books but we’ve got one last bit of news. The Sky Patrol Skystrikers are now available online! That’s right Joe fans– the remaining inventory of the silver finish Joe Con 2016 Sky Patrol Skystrikers are now up for sale to anyone with a Club membership. They’re limited to two per member and each jet will set you back a cool $160.00 but for fans who were debating purchasing one on Ebay this is your chance to get one for retail! LIMITED TO 2 PER MEMBERSHIP. The Cobra Air Force won’t know what hit them with the Sky Patrol Sky Striker (XP-26) Combat Jet! This fantastic 3 3/4-inch scale aircraft has tons of moving parts and amazing detail. The Limited Edition convention exclusive Sky Patrol Sky Striker features a unique silver color scheme and has wings that sweep in and out, working landing gear and removable missile accessories. G.I. 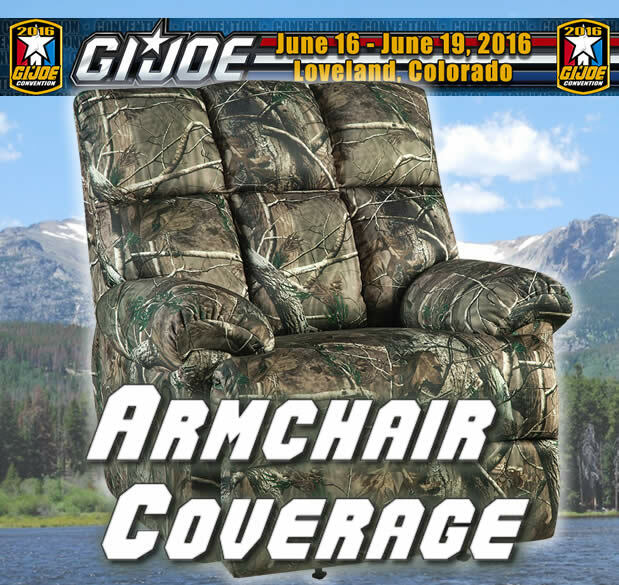 Joe Con 2016 will be held in Loveland, CO from June 16 – 19! In an interesting move, the G.I. 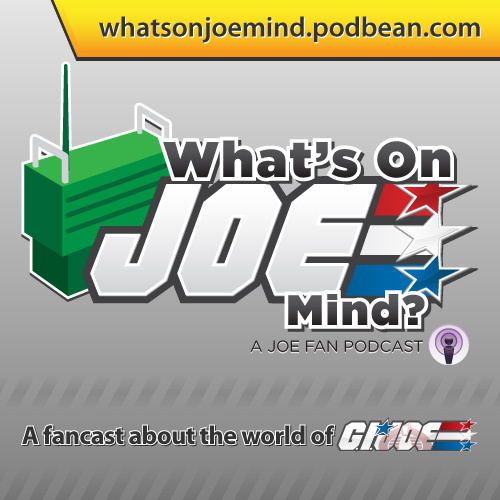 Joe Collector’s Club has moved the annual Joe Con back to summer. Ever since the Club added the offiical Transformers BotCon to their slate of convention offerings, Joe Con has played second fiddle to the larger Transformer event. Traditionally held during the summer, Joe Con has instead been relegated to either a Spring or even Fall event over the past decade. Colorado also marks the return of a “Western Con”– something that hasn’t happened since the San Francisco con of 2002! Fort Worth, TX – October 6, 2015 – Fun Publications, Inc., licensee for Hasbro’s official G.I. Joe Collectors’ Convention G.I.JoeCon, announced today that next year’s amazing convention will take place at the Embassy Suites Loveland Hotel June 16 through June 19 in Loveland Colorado, just north of Denver. Fans once again will come together from across the world to celebrate another exciting year of all things G.I. Joe at this fantastic event! You can make your hotel reservations now viaGIJoeCon.com. So, what do you think of the date change back to a summer con? Will you be attending? Will the theme be “Rocky Mountain High“? For more information on Loveland Colorado, check out the Loveland Convention & Visitor’s Bureau! Oktober Guard to be featured in the 2012 G.I. Joe Convention set! The G.I. Joe Collector’s Club posted an update for the 2012 Convention which includes a teaser image– featuring Daina of the Oktober Guard! No other information is yet available but the thought of the return of the Russian version of G.I. Joe is sure to light a fire in the heart of many a Joe fan! Check out the teaser image below and keep your eyes on JBL and the 2012 Convention page for more details!